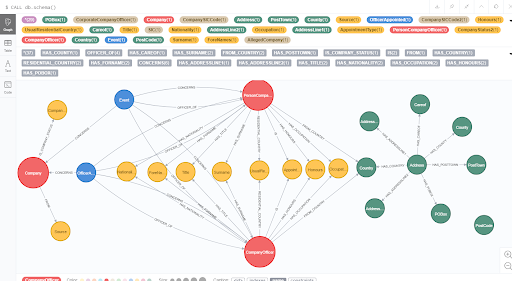 SAN MATEO, Calif. – March 26, 2019 – Neo4j, the leader in graph databases, announced today that it has expanded the availability of its free Startup Program. Neo4j graph technology drives innovation at NASA, eBay, Airbnb, and Adobe. The Neo4j Startup Program ensures the next generation of world-changing startups are powered by the leading graph database technology. Mike Oaten, Co-Founder of Regulation Technologies, explained how they get the most out of their financial investigations using their Neo4j-based product, R!SKHUNTER. Fran Scorer, Business Director at Quander, explained how they leverage their Neo4j Startup Program membership to immerse consumers in data-driven brand experiences. How customers are connected in Quander’s graph based upon their mutual interests. Emil Eifrem, CEO and Co-Founder of Neo4j, has a special affinity for fellow entrepreneurs. For more information about what the Neo4j Startup Program means for entrepreneurs, the developer community and the database industry, read our blog post. Interested teams should apply to the Neo4j Startup Program here.